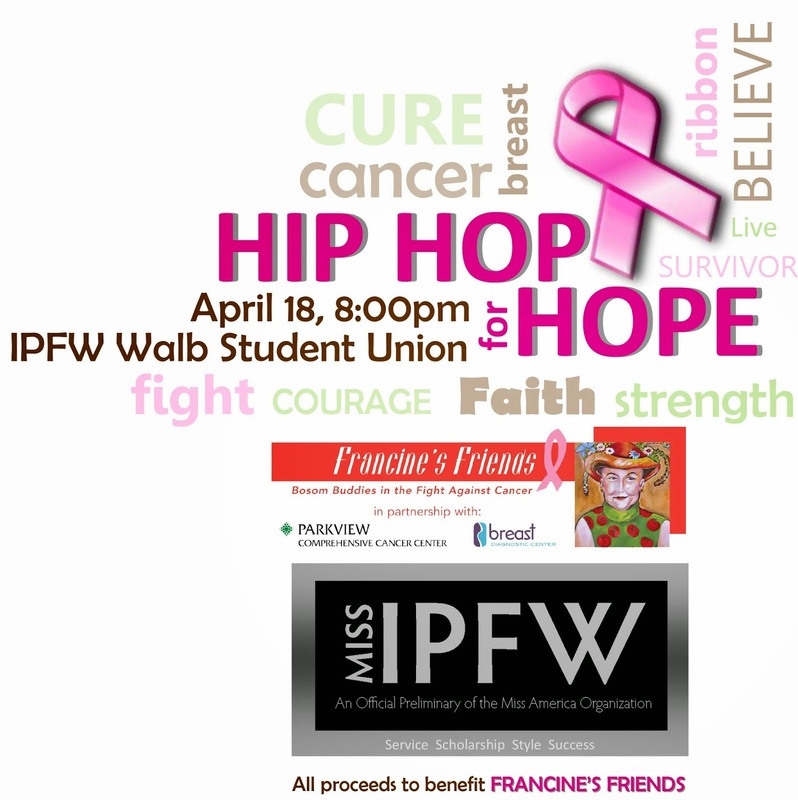 Plan to come out and support a fundraiser to benefit Francine's Friends - April 18, 2014 - hosted by Miss IPFW Shana Patel. Hip Hop for Hope will be an exciting evening showcasing local talent - and the winner will perform at our 10th Annual Francine's Friends "Lunch with Friends". The show begins at 8:00 in Room 126, IPFW Walb Student Union. 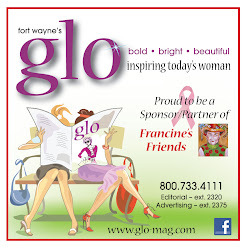 You'll meet Miss IPFW, see some fabulous talent from 12-13 acts, have a chance to tour the Francine's Friends mobile mammography coach from 7:30-9:00 pm - and help support a great cause! Tickets are $10 at the door and proceeds go to fund mammograms for all women. Hope to see you there!